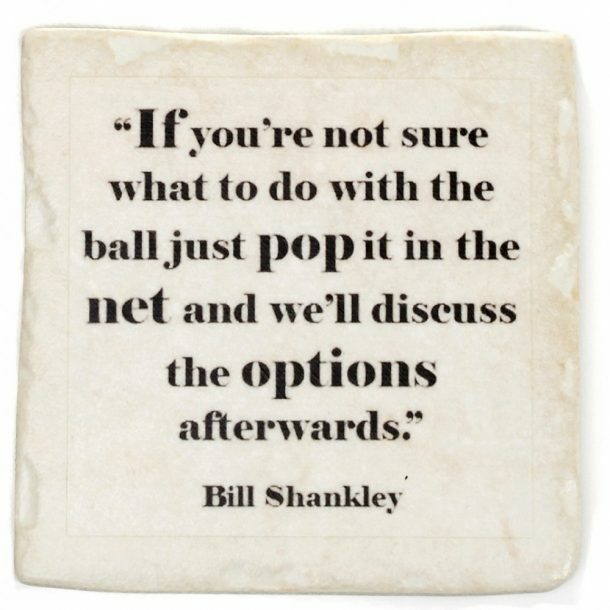 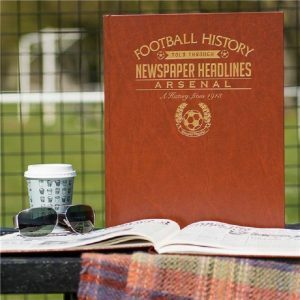 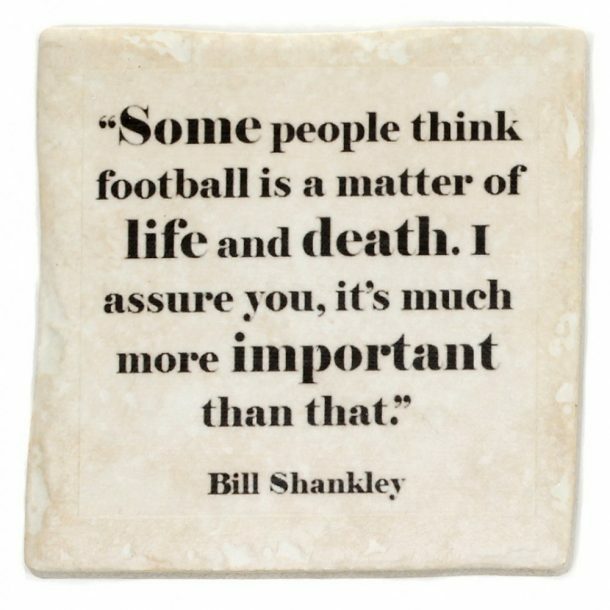 These Set Of Four Football Quote Coasters will go down well with any football fan. 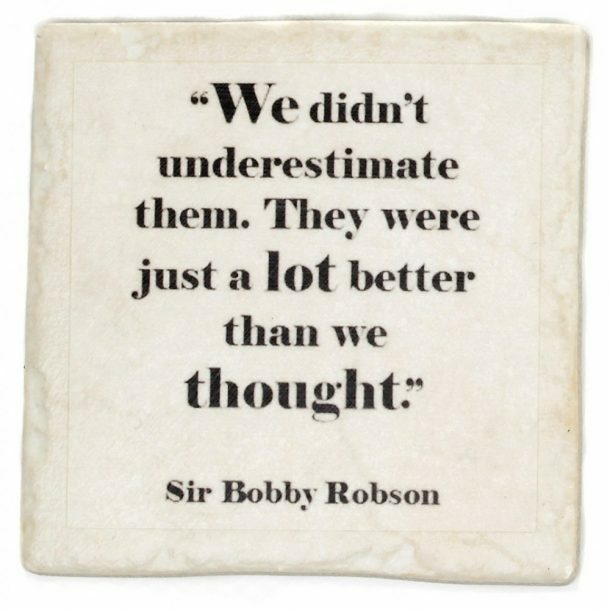 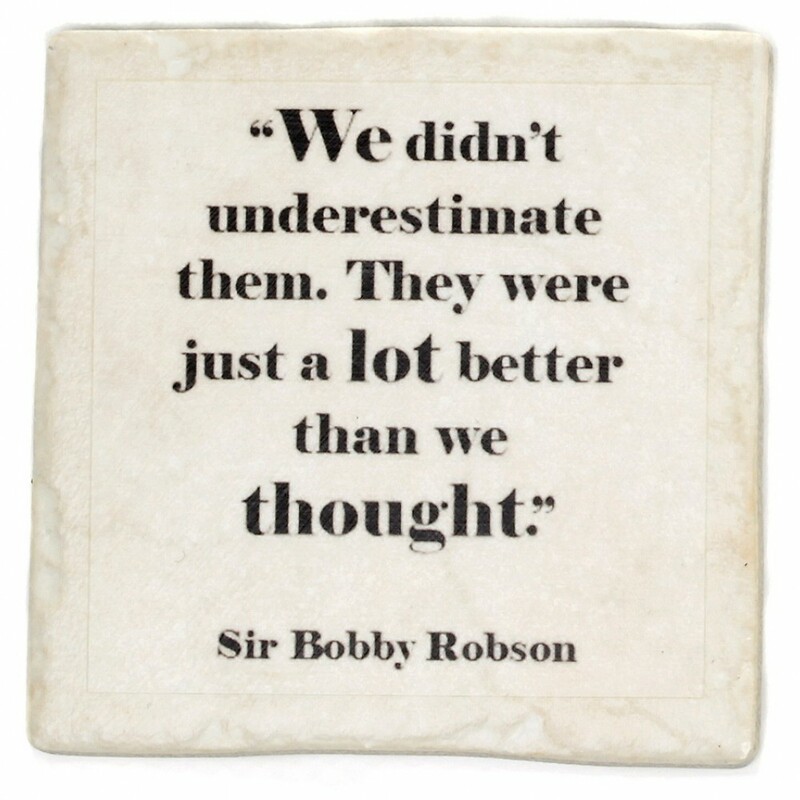 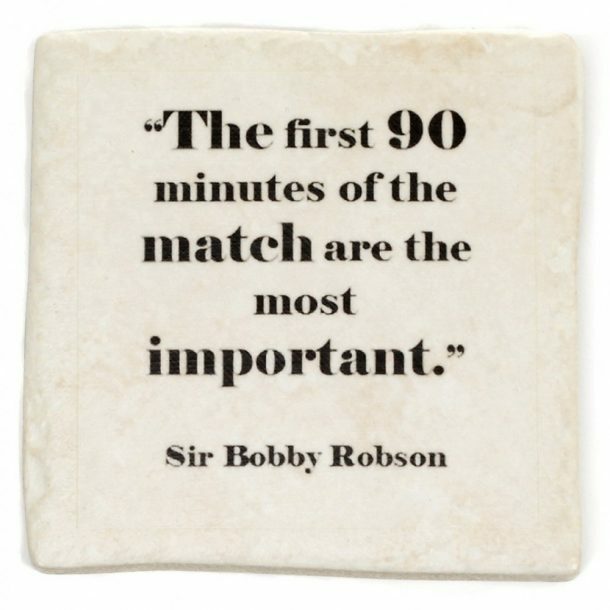 Each coaster features four different quotes from legends of the game, Sir Bobby Robson and Bill Shankly. 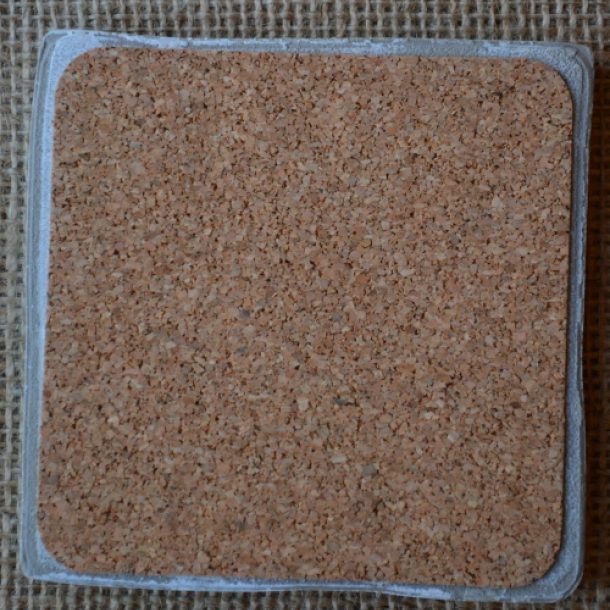 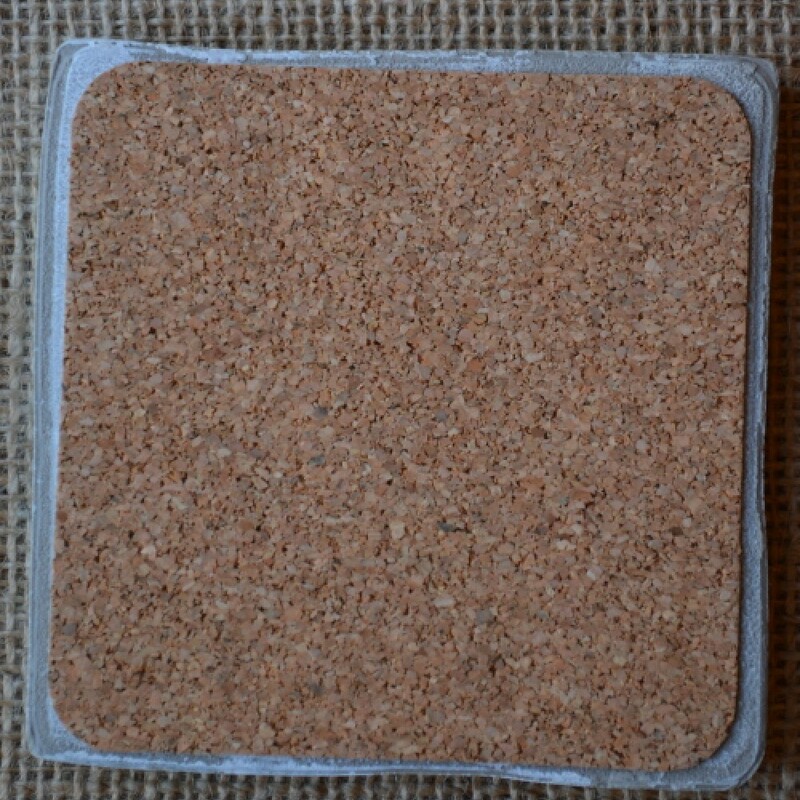 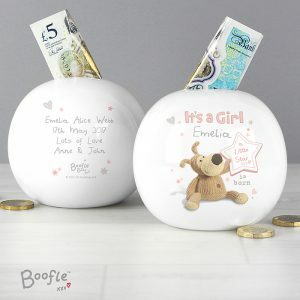 Made from ceramic with a cork back, and protected with lacquer to withstand both hot and cold drinks, they will add a touch of class to any table in the home. 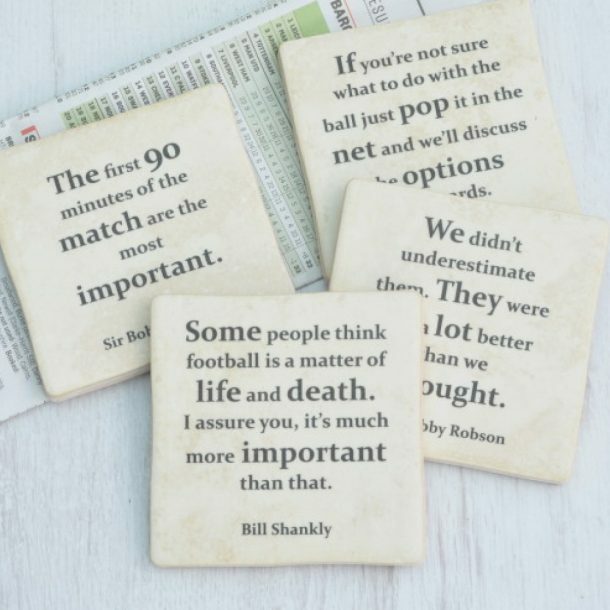 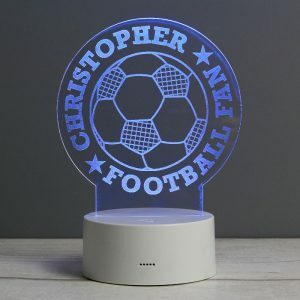 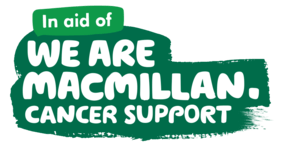 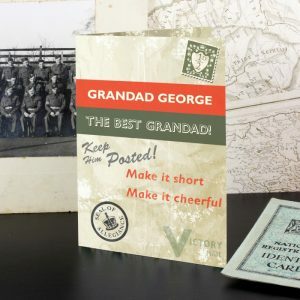 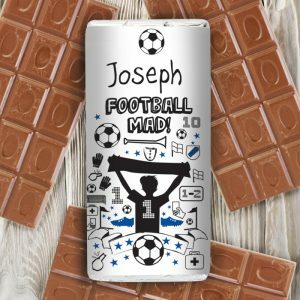 For those who enjoy the world’s greatest sport they’re a great gift to spruce up their home, ideal for a Birthday, Wedding anniversary, Father’s day, or a Christmas gift for him. Do not place in water or clean in a dishwasher.